How well you know your staff makes all the difference in their success, your success and to successfully reaching company goals. There is a better guide to placement, hiring and development that will ensure such success. What do we really know about prospective employees? We have often been caught out with knowing too little. Hiring and training is a costly business, so how can we improve our chances at hiring the person who will stay, continue to impress us and become a long term value to our staff? Of course we need to know the normal things we ask and test for, such as: education, experience, past performance, skills relative to the position, character, some general questions about personality and what motivates them. Then we must interview as skillfully as we can to unearth “the truth, the whole truth, and nothing but the truth.” We study the references and, after personal judgments, we make a decision — at least the process is something near to this. We must depend on what we are told and what we can see of the candidate. Is there more? Absolutely! You can know your staff in ways they don’t even know themselves. You can know what you need to know, not just want they want you to know. The Classical Greek period of history can teach how to know your staff. Written about for centuries, we know that the most important knowledge about people is what drives people and shapes their lives, motivating them from their inner core. These nuclear urges from deep within everyone of us, when used, fill our sense of satisfaction. They are the dependable, true motivating factors of our lives. What they bring to the table in terms of essential inner strengths and the best contribution the person can make are sometimes even unknown to them. But they can be clearly determined, so why not find these out? The adage that “anyone can do anything” is a little naive. Money and status can motivate us, of course. But two and a half millennia ago, Plato pointed out the obvious: all people are not the same. They are built for different things. To add to our confusion, education and experience has not necessarily prepared us for our best contribution to life and work. 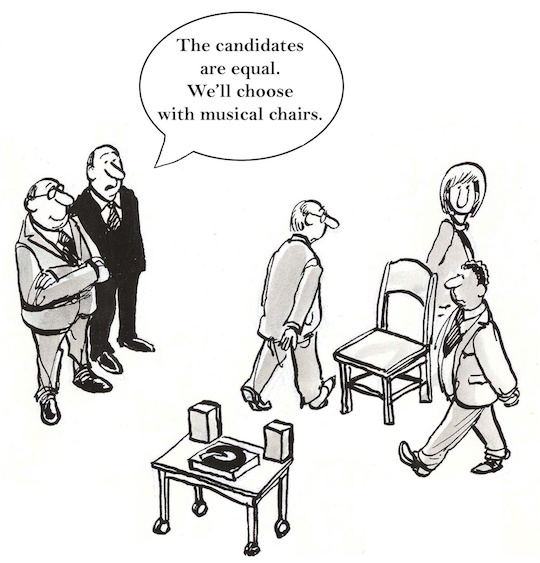 Who we are at the core is the only source for a clear understanding of what a candidate for a position will be like. People often don’t know themselves, but you can know your staff better than they know themselves. People don’t tell us all we need to know and often, as I pointed out, they don’t even know themselves. Hence, a true assessment (not a partial one) that reveals who a person is at the core of their inner selves — an InnerKinetics® Temperament Key, for example — is the only way we can get the information we so desperately need to make a knowledgable and smart decision. When you use such an assessment that has gleaned the best knowledge from the ages and modern research — a proven science — you can see into the heart of the person. (click here for History of the Temperament Key). Use a proven mirror to discover a person’s inner operating functions. Are they naturally pessimistic and negative, optimistic go-getters or, on the other hand, do they like to keep their options open and seldom become decisive. The list is longer than your arm. These are core urges and drives that create core preferences and, therefore, will result in preferred actions. Can we do without this information? Discover your own InnerKinetics and that of your staff with the InnerKinetics Temperament Key. The right fit is critical because people are a key part of a company’s success. Do all you can to get the right person on the bus, in the right seat, and happy to be there. Learn more on innerkinetics.com.